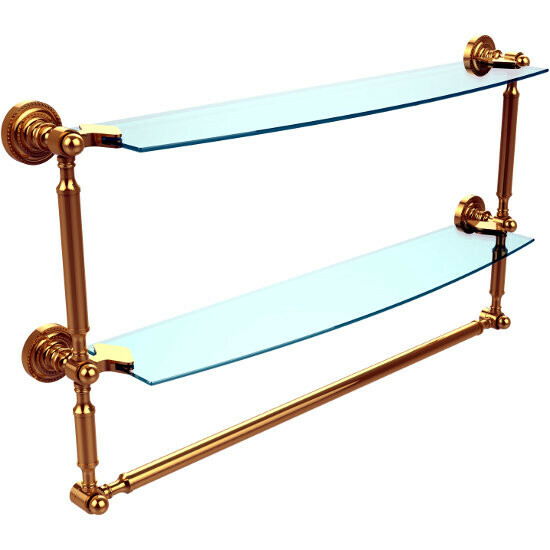 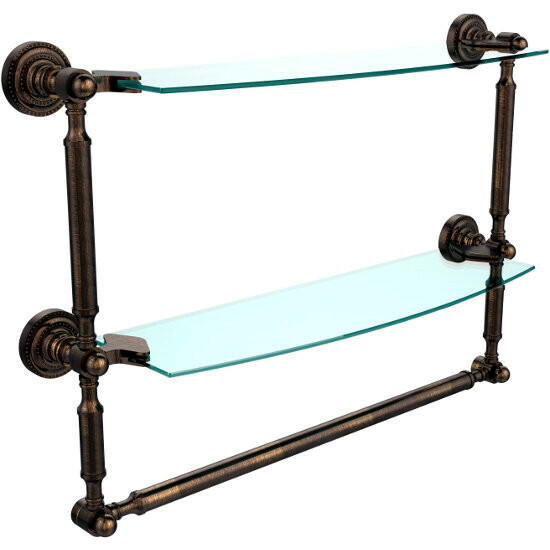 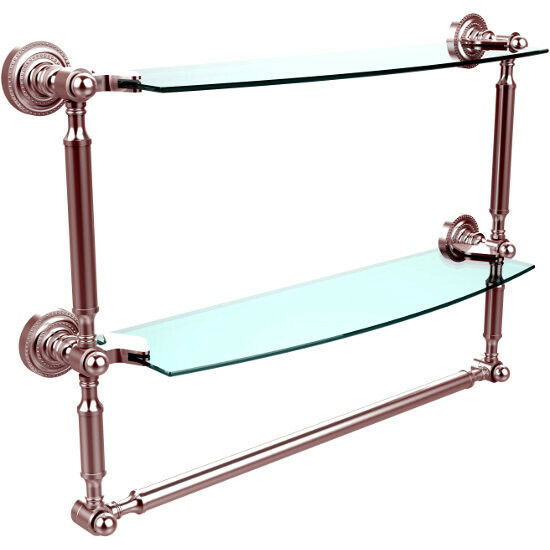 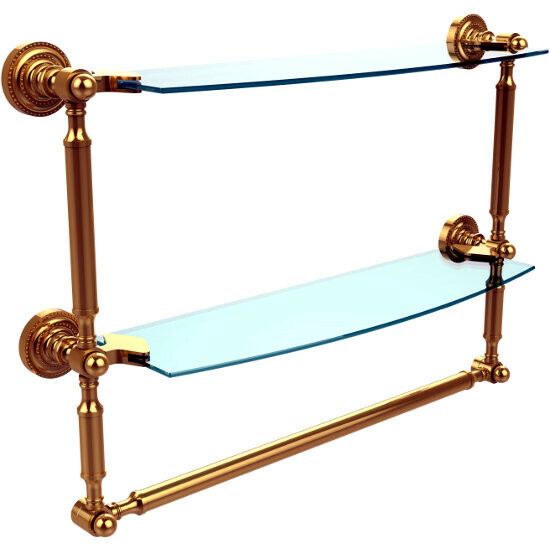 These Dottingham Double Glass Bathroom Shelves from Allied Brass feature a masterfully crafted solid brass framework with a towel bar. 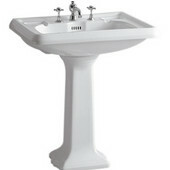 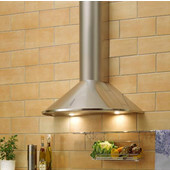 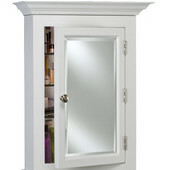 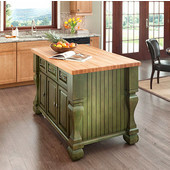 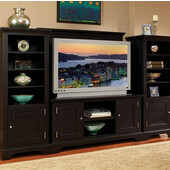 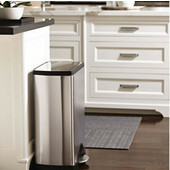 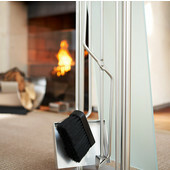 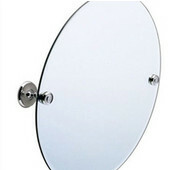 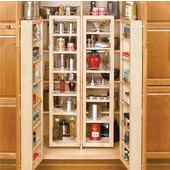 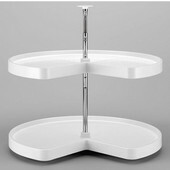 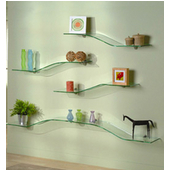 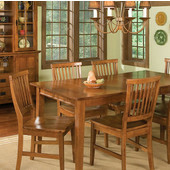 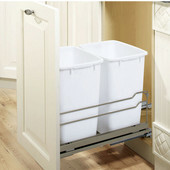 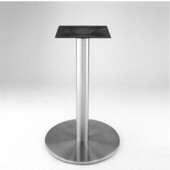 The shelves are not only attractive, but are also dependable and durable. 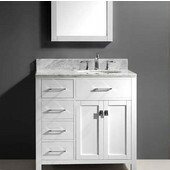 The bathroom shelves are available in 22" and 28-1/2" widths and come in standard or premium hand-polished finishes to complement any bathroom. Aero Stainless Steel Deluxe Wall-Mounted Shelf, 108" W x 15" D x 12.5" H, 28 lbs. Aero Aerospec Stainless Steel Wall-Mounted Shelf, 36" W x 18" D x 12.5" H, 12 lbs. 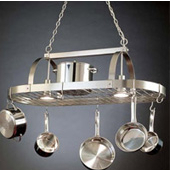 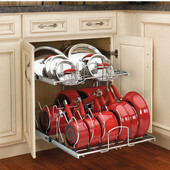 Aero Stainless Steel Deluxe Wall-Mounted Shelf w/ Pot rack, 72" W x 15" D x 12.5" H, 50 lbs.